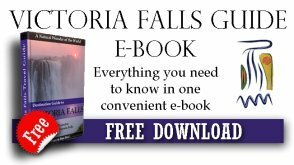 Hidden secret of Victoria Falls...A quiet oasis at a good price. Amadeus Garden Guest House is an owner managed private Guesthouse/Bed and Breakfast. This small and friendly guesthouse is a quiet oasis at a great price. 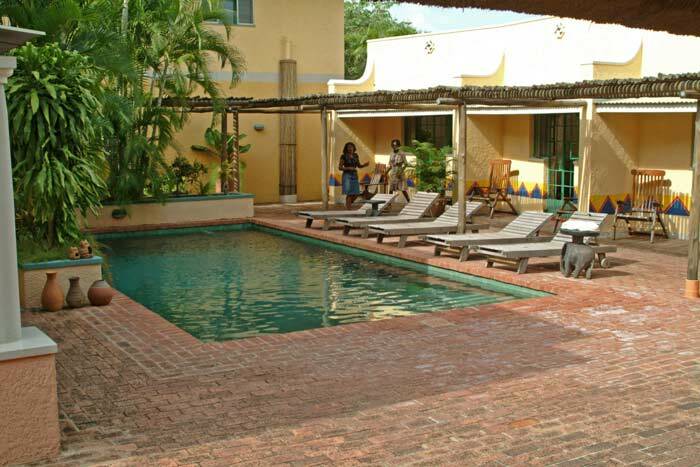 The guest house is built around a sunny and delightful courtyard with a swimming pool which most of the rooms open on to. 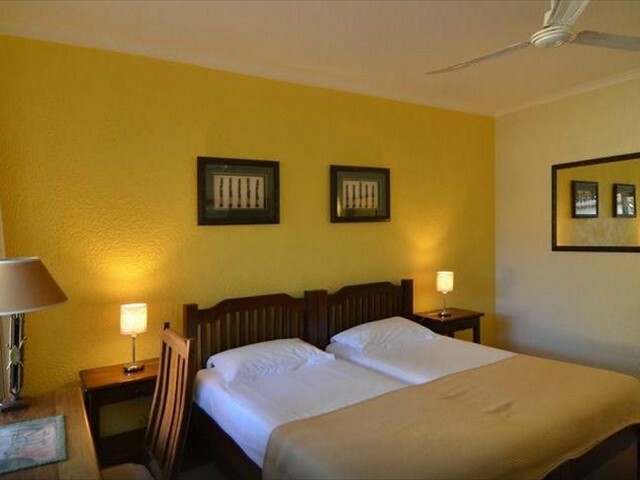 We found the rooms very tastefully decorated and clean with overhead ceiling fans for those hot nights. Amadeus to our mind is one of the hidden secrets of Victoria Falls – Good value for money! Prices come in slightly under the cheapest hotel in the area, yet you have quality accommodation and nice private and secure surroundings. The staff are very friendly and their local knowledge and advice offered to travellers on just about everything in the area from activities to taxis and how to get around is exceptional. The average taxi ride anywhere in Victoria Falls from Amadeus costing approximately US$8 and this is negotiable. 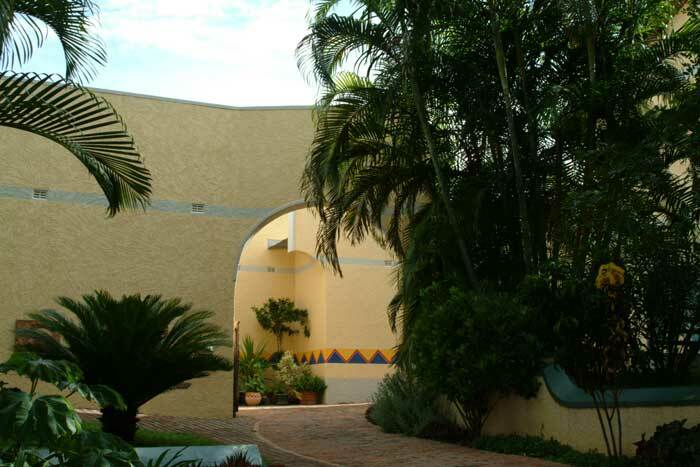 The property is walled with an electric gate and there is a security guard on duty 24hours. 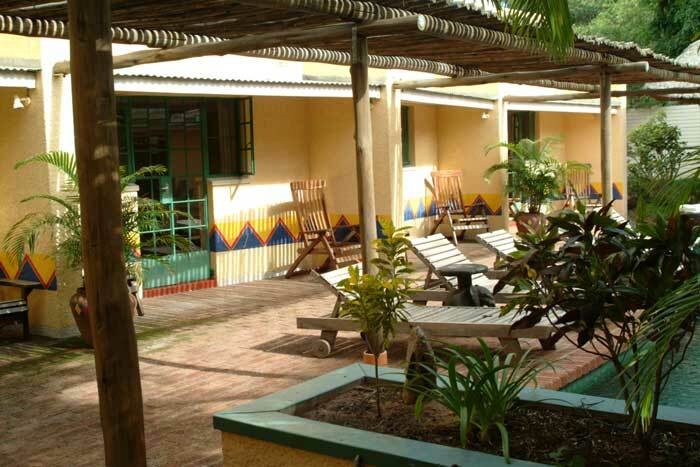 Amadeus Guesthouse is an upmarket B&B in the residential suburbs of Victoria Falls, only 3kms from the Falls. It's well manicured, clean, comfy and secure and represents good value for money. We have no hesitation in recommending Amadeus. Breakfast and lunch are served in a thatched gazebo next to the swimming pool. The breakfast is included and you can have either continental or full English. Light snacks can also be arranged through out the day. Cold drinks and beverages can be brought on site.